Attention Carnival fans! 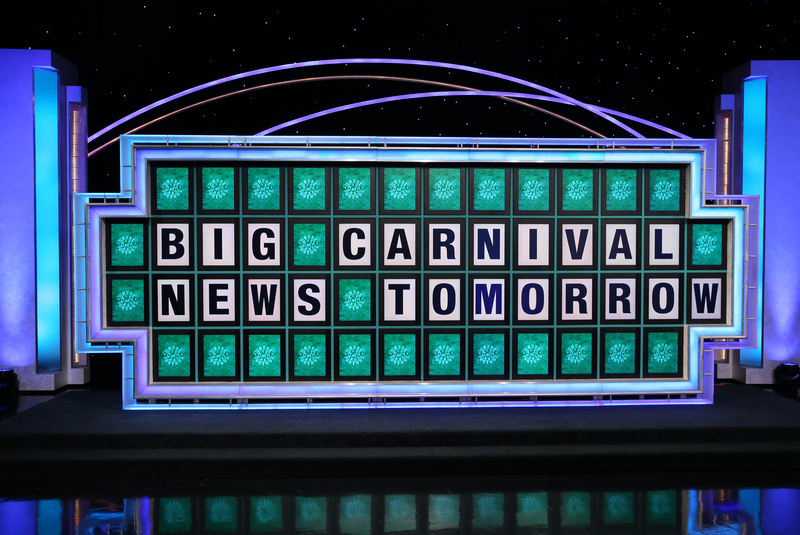 Be sure to tune in to the nationally syndicated game show Wheel of Fortune Wednesday night for a special announcement from Carnival Cruise Line at the conclusion of the show. While we can’t divulge what the “big reveal” will be, rest assured it’s going be huge news from America’s Cruise Line. Check your local listings for the broadcast time of Wheel of Fortune in your area!